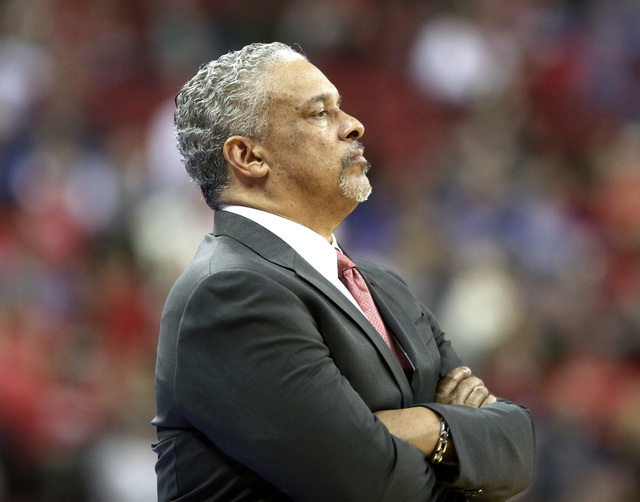 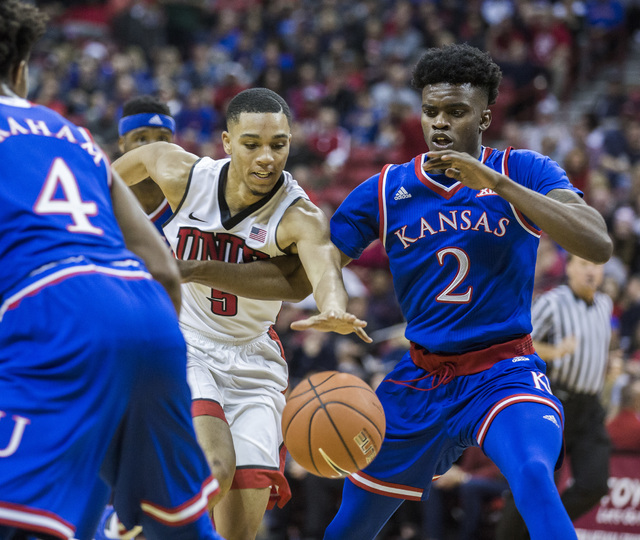 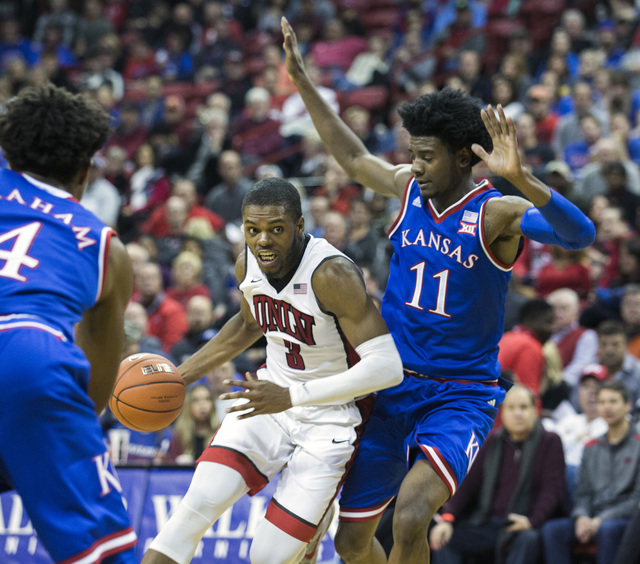 Third-ranked Kansas left the Thomas & Mack Center with a 71-53 victory Thursday night, but it was far from the 49-point loss UNLV suffered 12 days earlier against Duke. 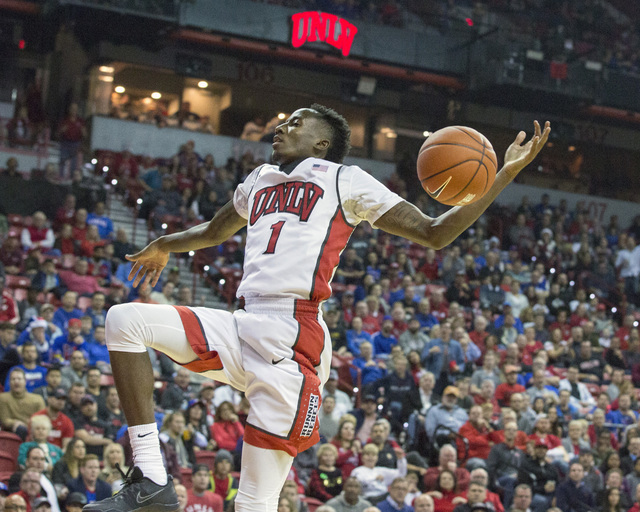 Down 22 points at halftime, this had the making of another Duke disaster for UNLV. 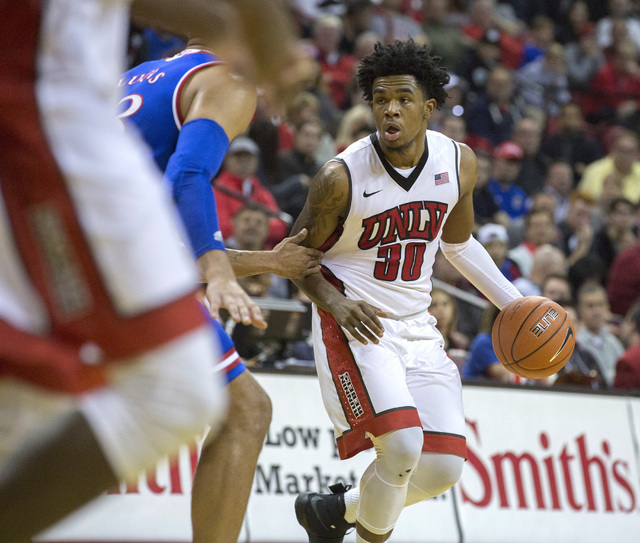 The Rebels, instead, fought back in the second half, but the hole they fell into over the first 20 minutes was too deep. 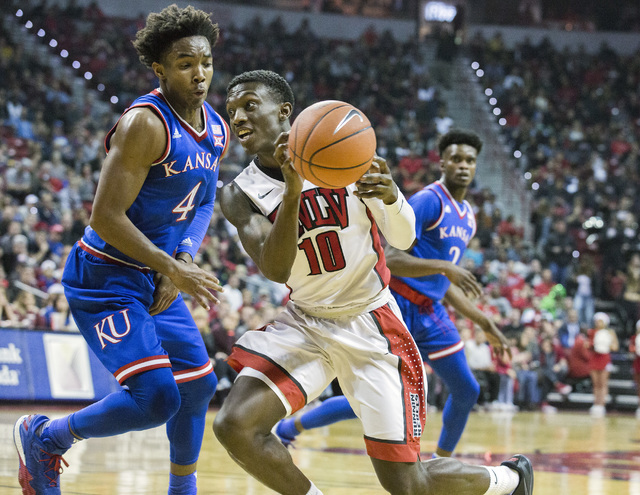 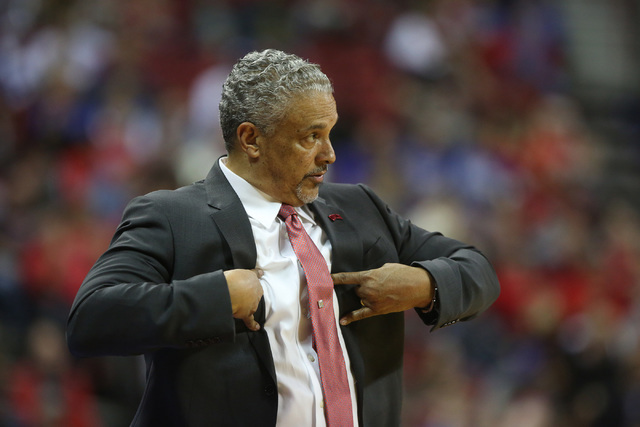 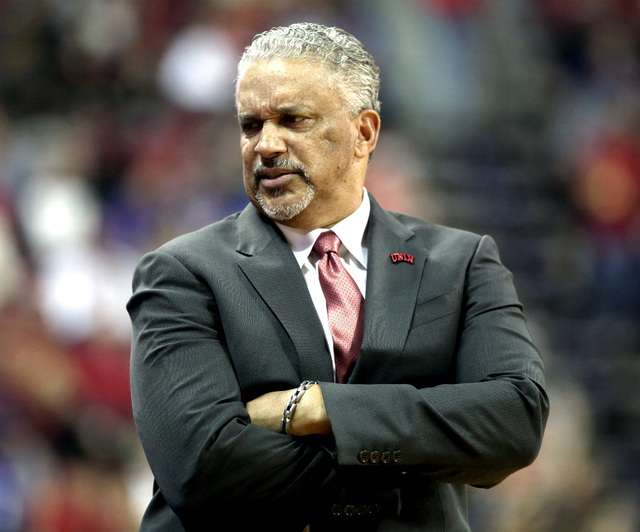 Third-ranked Kansas left the Thomas & Mack Center with a 71-53 victory Thursday night, but it was far from the 49-pointloss UNLV suffered 12 days earlier against Duke. 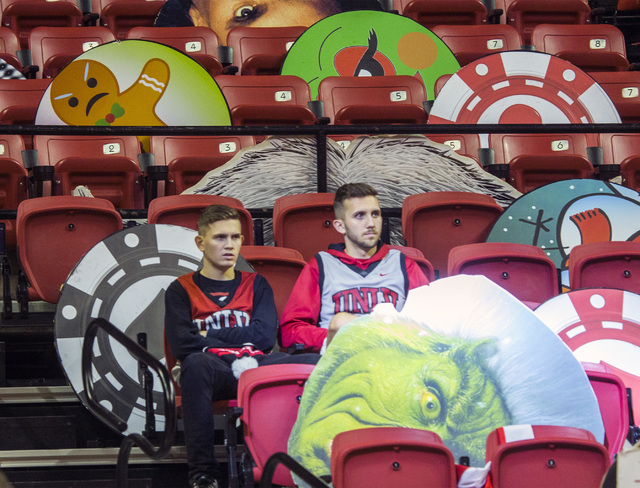 This was the final game for UNLV (7-6) before Mountain West play. 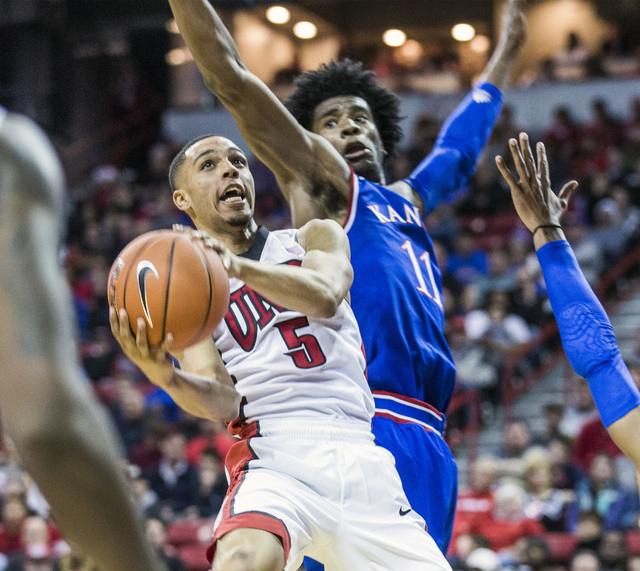 The Rebels visit Colorado State on Wednesday. 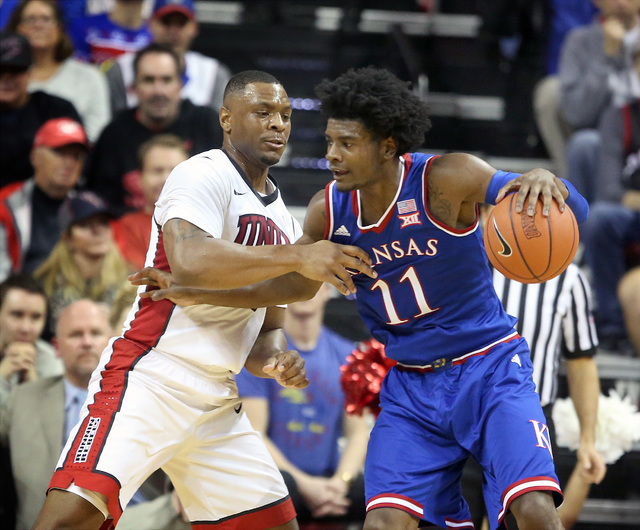 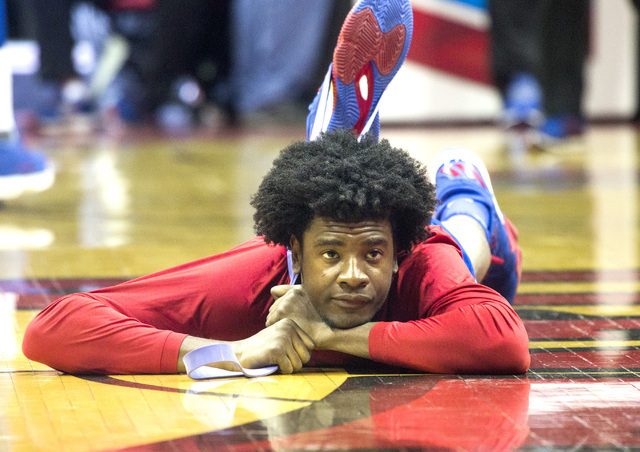 Kansas (11-1) will enter Big 12 Conference action knowing it has one of the top prospects for next year’s NBA Draft, and JoshJackson played like that kind of player against the Rebels. 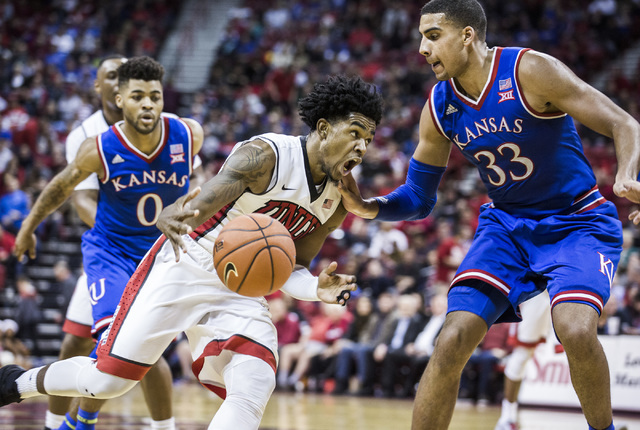 He had 10 points and five rebounds in his first nine minutes andfinished with 21 and nine. 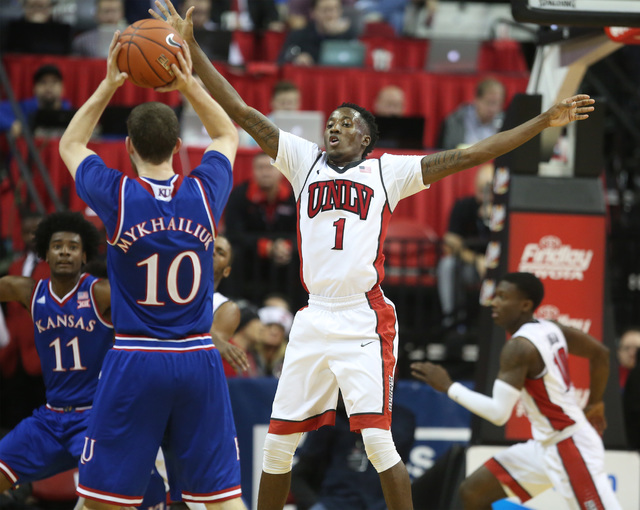 Sviatoslav Mykhailiuk added 20 points for the Jayhawks. 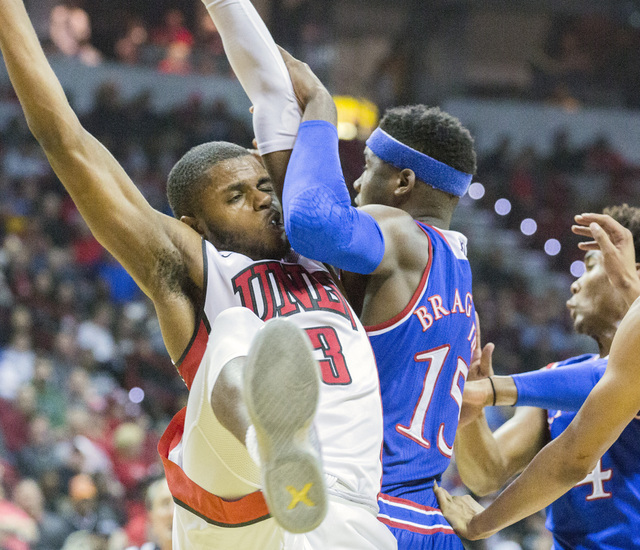 UNLV, which outscored Kansas 33-29 in the second half, was led by Tyrell Green’s 12 points. 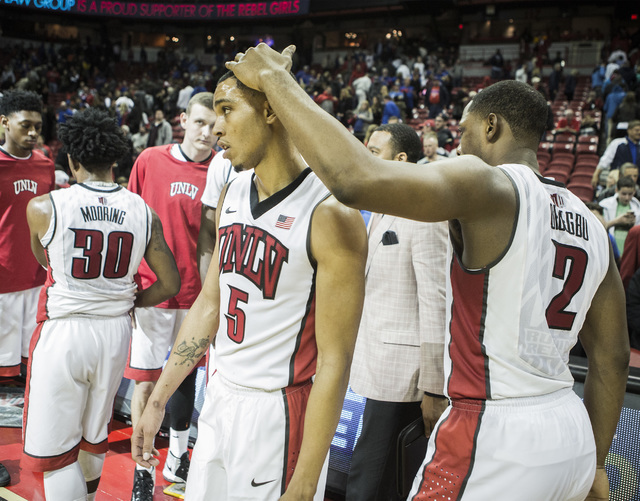 Kris Clyburn and Jalen Poysereach had 10. 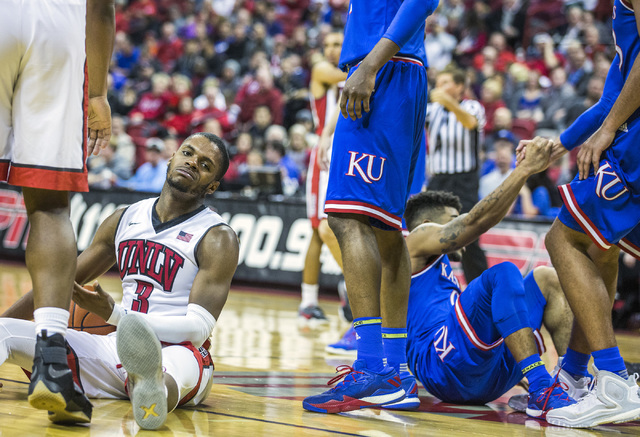 Rebels forward Troy Baxter Jr. went down hard in the second half, injuring his knee and lower back. 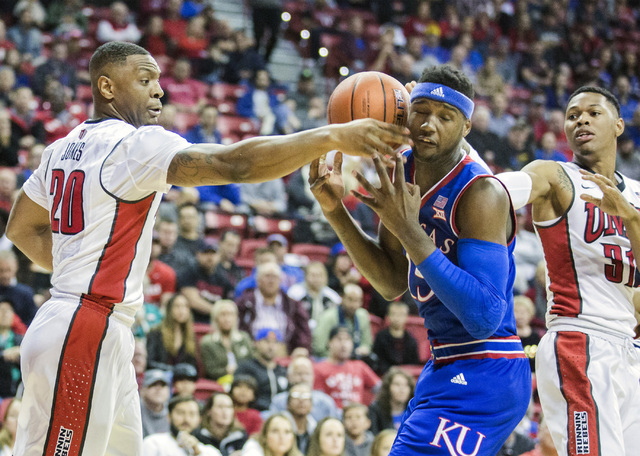 Menzies didn’t have animmediate update on the severity of the injuries.